By the late 1700's Nantucket had become the whaling capital of the world. The beach overlooking the northern tip of the island was one of the busiest passages on the East coast. The effort to erect a tower for shipping needs was delayed by the advent of the Revolutionary War. Shortly afterwards, the Commonwealth of Massachusetts undertook the building of the Great Point Lighthouse. 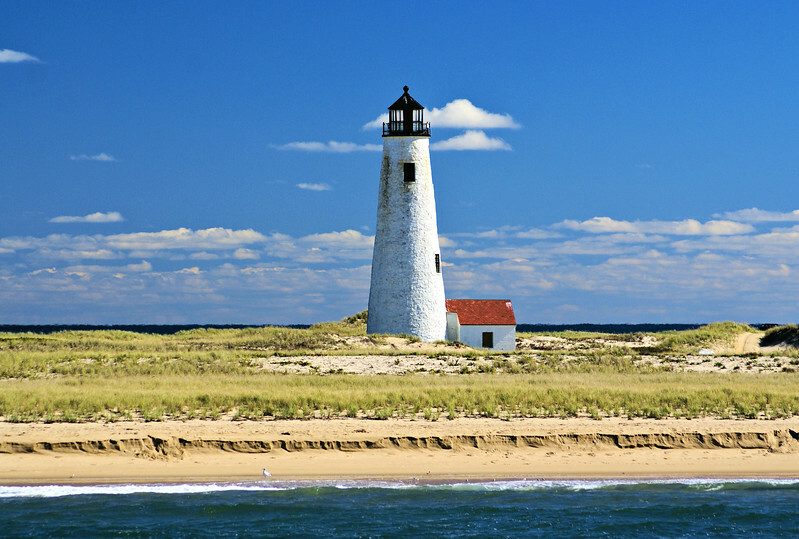 Located on a thin spit of beach where the currents of the Atlantic Ocean and Nantucket Sound meet, the Great Point Lighthouse on Nantucket was first built in 1784. The original tower was made of wood. Since there was no dwelling built for the Keeper, he had to travel 7 miles over the dunes to the lighthouse each day.